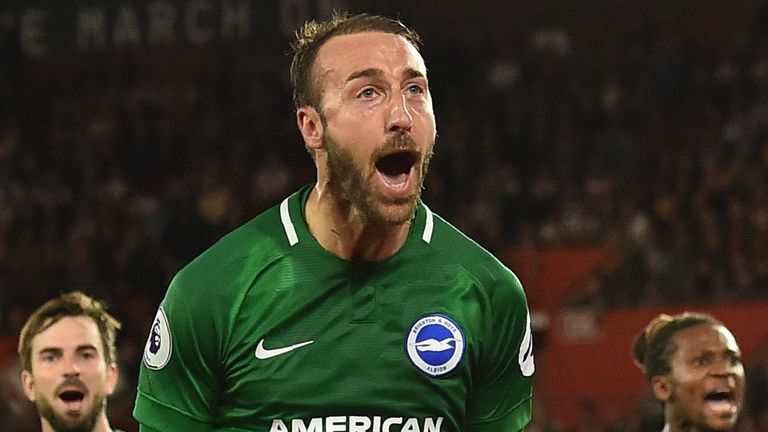 Glenn Murray scored a 91st-minute penalty to seal a 2-2 draw for Brighton against Southampton on Monday Night Football after Pierre-Emile Hojbjerg's stunning opener. The midfielder produced a moment of magic in the 35th minute of a lacklustre first half with a swerving effort from outside the box, before Danny Ings (64) converted from the spot after being fouled by Gaetan Bong in the area. But two minutes and nine seconds later, Shane Duffy (67) nodded home a Brighton reply and it was the defender who was fouled by James Ward-Prowse to win a late penalty, which Murray slotted home (90+1). 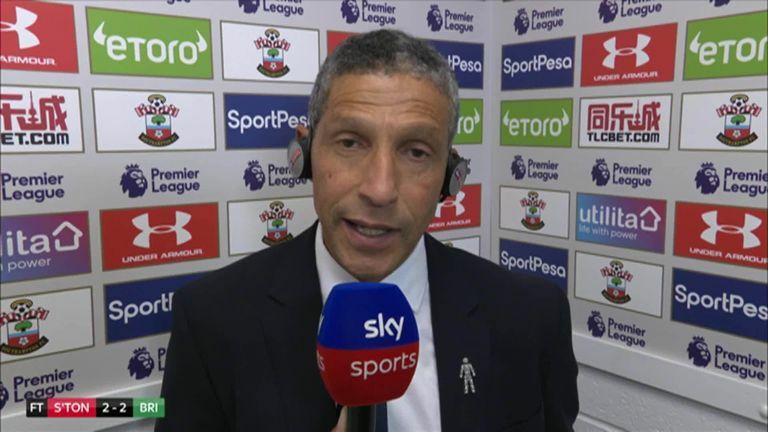 It is the second 2-2 draw in a row for Chris Hughton's side, who are level on five points with Southampton, although are a place behind the Saints in 14th on goal difference. 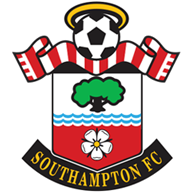 Southampton: McCarthy (7), Soares (6), Vestergaard (7), Hoedt (7), Bertrand (7), Lemina (7), Hojbjerg (8), Elyounoussi (7), Redmond (6), Long (6), Ings (7). Subs used: Ward-Prowse (4), Gabbiadini (4), Davis (n/a). 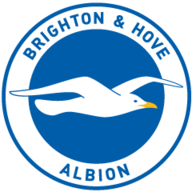 Brighton: Ryan (7), Bong (5), Duffy (7), Dunk (6), Montoya (6), Stephens (7), Bissouma (6), March (6), Propper (7), Knockaert (7), Murray (7). Subs used: Jahanbakhsh (5), Locadia (5). Man of the match: Pierre-Emile Hojbjerg. The first half was a cagey affair, and it took 22 minutes for a sight of goal. Hojbjerg headed a deep corner across the area and after some pinball, Ings saw his effort blocked. Mohamed Elyounoussi then attempted to sweep home the loose ball, but his effort went high over the crossbar. The Norwegian had another glorious chance not long after as he rose to meet a cross from Nathan Redmond, but could only direct the ball wide of the post. Southampton made the breakthrough with 10 minutes of the half to play thanks to a stunning strike from Hojbjerg. Eloynoussi's cross into the area was cleared by Lewis Dunk but it fell straight to the feet of the Dane, who hit a wonderful strike from 35 yards, leaving Brighton goalkeeper Mat Ryan furious. Southampton named the same XI that won at Crystal Palace before the international break. Brighton made one change with the injured Pascal Gross replaced by Yves Bissouma. Chris Hughton clearly had strong words for Brighton at the break as they came racing out of the traps in the second half. After mostly being a spectator in the first period, Alex McCarthy was called upon after seven minutes as Anthony Knockaert tried his luck with a fierce drive but the goalkeeper pushed it away strongly before Solly March skewed the rebound. But the Saints doubled their lead in the 64th minute after Gaetan Bong caught Ings from behind in the box, with referee Anthony Taylor instantly pointing to the penalty spot. The striker stepped up to take it and, after a stuttering run-up, slotted home into the bottom-left corner. However, Brighton rallied almost instantly as they pulled a goal back. Knockaert delivered an in-swinging free kick that was powered home by the head of Duffy from 10 yards out. The Seagulls kept pushing for their equaliser as McCarthy was forced to palm away a Jurgen Locadia header on the stroke of 90 minutes, but they got their reward not long after. Ward-Prowse was penalised for pushing Duffy over as Brighton had a corner, with referee Taylor again signalling to the spot. It was Murray - scoring in his third successive league game against Southampton - who stepped up, going down the middle to complete the Seagulls' comeback. Ryan Bertrand almost had the final say as he fired a curling free-kick towards goal but an impressive, leaping save from Ryan kept him at bay as the points were shared. Brighton have managed just two away wins in the Premier League since the start of last season, fewer than any other side to appear in both the 17/18 and 18/19 editions (W2 D5 L14). Southampton have dropped 26 points from leading positions in the Premier League since the start of last season, the most of any side to appear in both campaigns. Southampton striker Danny Ings has scored in consecutive Premier League appearances for the first time since February 2015. Glenn Murray has scored five goals in six league starts for Brighton against Southampton. Gareth Southgate was in the stands at St Mary's, with recent inclusion Alex McCarthy producing some good saves. Ryan Bertrand also almost scored late on. Nathan Redmond did not do too much, with James Ward-Prowse responsible for giving away Brighton's late penalty. 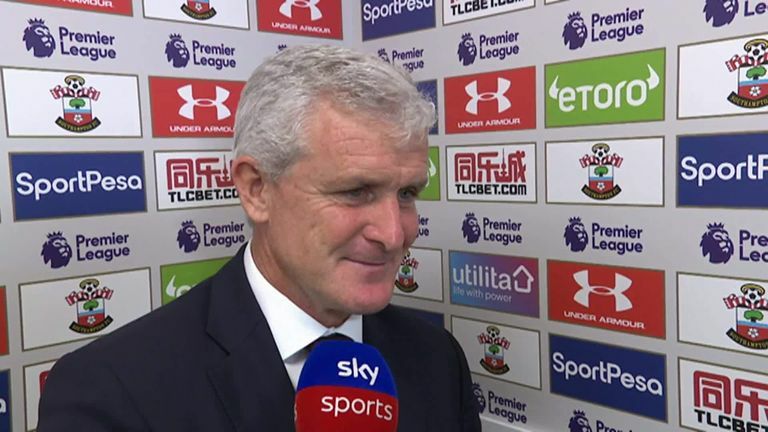 Mark Hughes: "As always, I question the penalty decision because I thought it was a little bit soft. We are disappointed. We got ourselves into a winning position - a deserved one, I felt for the efforts up to the penalty we had - and we were quite comfortable. "Credit to them. They had a real go in the second half and they had to. They had nothing to lose and were taking chances and they got their reward." "From our second-half performance, we deserved to get something from the game. The level of performance was better, and we have had really good periods away from home, but it's about getting results." 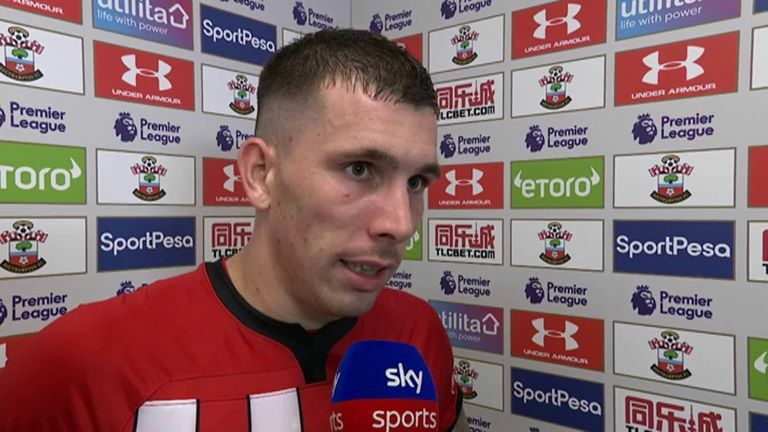 Hojbjerg is a man in form, now scoring in his last two games for Southampton after managing the same tally over 102 previous league games. His strike was a thing of beauty, too, and at 35 yards out, it is the longest-range strike in the Premier League so far this season. But it was not just his goal that he contributed. He dominated the midfield in the first half, running Brighton ragged before their second-half comeback, making interceptions and good passes for his other team-mates. Southampton travel to Liverpool in the Premier League next weekend while Brighton welcome Tottenham to the Amex Stadium in the late Saturday kick off.